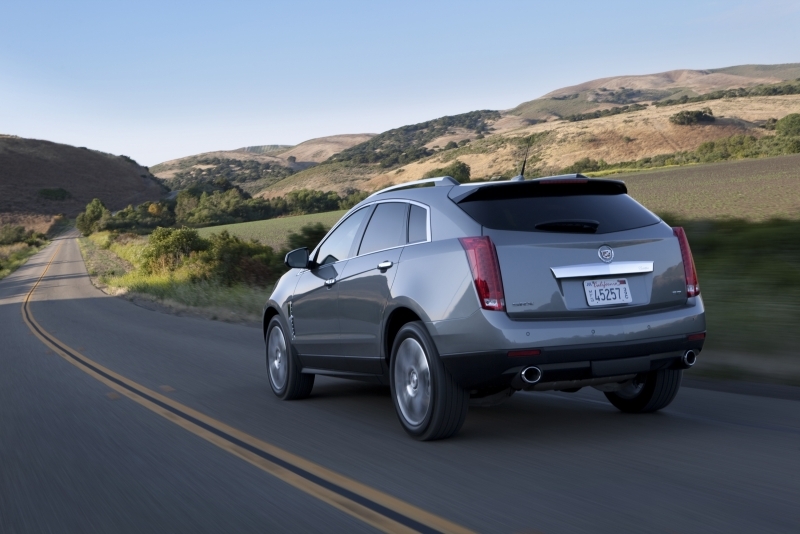 What a difference a real engine makes—that’s the 2012 Cadillac SRX in seven words or less. Saddled from its 2009 debut with an underperforming 3.0-liter V-6, the SRX has been rejuvenated for 2012 by the arrival of GM’s excellent direct-injected 3.6-liter V-6. That means the 3.0-liter is history, as is the peculiar Saab-sourced 2.8-liter turbocharged V-6, an optional piece that ran the price up to $50,000. Going forward, every SRX will offer the smooth, strong goodness of 308 horsepower and 265 pound-feet of torque. In other words, all is right with the world. Well, let’s not get ahead of ourselves. When the current second-generation SRX launched, its flaws weren’t confined to its engine bay, so structural shortcomings like compromised rear visibility and a snugger-than-expected backseat remain. Moreover, the new motor gets lower fuel-economy ratings from the EPA, and its six-speed transmission isn’t always silky smooth like some rival units. But hey, we’re nitpicking. The SRX already had distinctive styling and a luxurious interior, and its heart transplant for 2012 has turned it into a legitimate all-around contender for the entry-level luxury crossover crown. The SRX’s new 3.6-liter V-6 is a gem—it hauls the mail and sounds good doing it. The cabin is probably Cadillac’s nicest (and quietest) ever, and our “Premium Collectionâ€ test car included a brilliant iPad-like eight-inch retractable touchscreen with navigation and a 40-gigabyte hard drive. We like the SRX’s size: it’s big enough to make you feel safe, but small enough to be reasonably maneuverable. The SRX is heavier than most of its competitors, and that shows in its fuel economy, which has dropped a smidge with the new engine. Rear visibility is miserable. The front seats lack serious contours and adjustability, and we felt some spinal discomfort from the seams that run up the middle of the front seatbacks. Also, we expect a roomier backseat in this class of vehicle and a transmission with less-perceptible shifts. Due to the SRX’s high beltline and bulky dashboard area, our first impression was that we were sitting awfully low by crossover standards. Jacking the seat up to the ceiling helps matters, though you still feel more like you’re ensconced in the SRX’s cockpit than perched atop it. At speed, the SRX is astoundingly quiet—we’re talking world-class aural isolation here. Alas, isolation from bumps and ruts is less comprehensive, as some notable impact harshness filters through to the SRX’s cabin, exacerbated, no doubt, by our test car’s 20-inch wheels (standard on both Performance and Premium trims). Handling responses, though, are surprisingly deft, defying our expectations of typical SUV-style ponderousness. We just wish the rakish styling didn’t compromise rear visibility so; we almost ran over an Altima in our passenger-side blind spot on one memorable occasion. 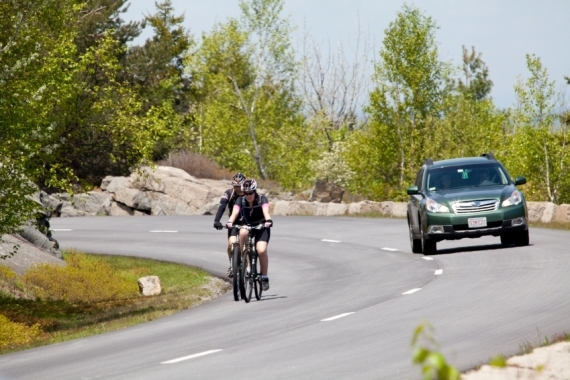 Set your mirrors with care, SRX drivers, and monitor them religiously. 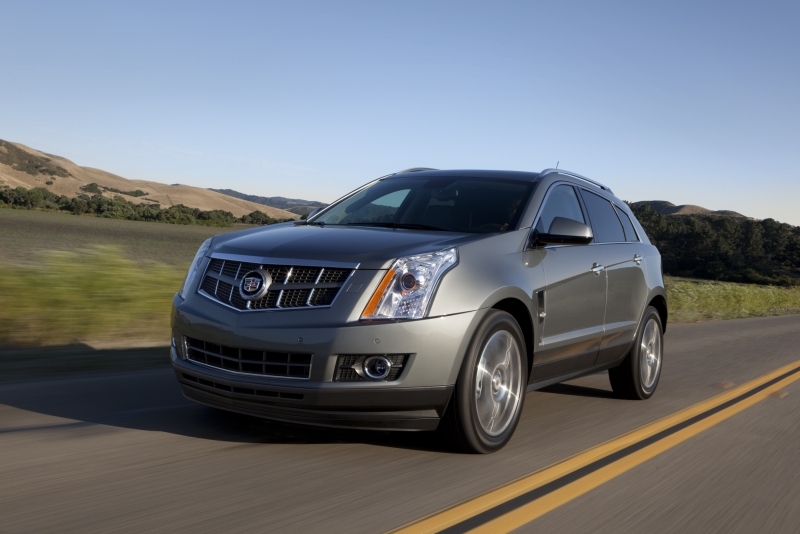 The 2012 Cadillac SRX is motivated by a 3.6-liter V-6 that churns out 308 horsepower and 265 pound-feet of torque. The transmission is a six-speed automatic. Even with those 308 horses aboard, our front-wheel-drive tester’s roughly 4,300-pound curb weight (figure nearly 4,500 pounds with AWD) kept the Caddy from feeling truly fast. Still, as vehicles in this class go, the SRX is highly satisfying when you put your foot down, delivering a solid punch off the line, then pulling hard and smooth all the way to redline. We’d just ask for a touch more refinement from the automatic, which sometimes announces its gear-changes with unbecoming lurches and thumps. The 2012 Cadillac SRX is EPA-rated at 17 miles per gallon city, 24 mpg highway, and 19 mpg combined—with front-wheel drive. Check the AWD box and you’re looking at 16/23/18. Compare that to the lighter-weight BMW X3 xDrive35i, which gets 19 mpg city and 26 mpg highway out of its 300-horsepower inline-six and standard all-wheel drive. The SRX is a portly beast, and when it comes to fuel economy, scales don’t lie. 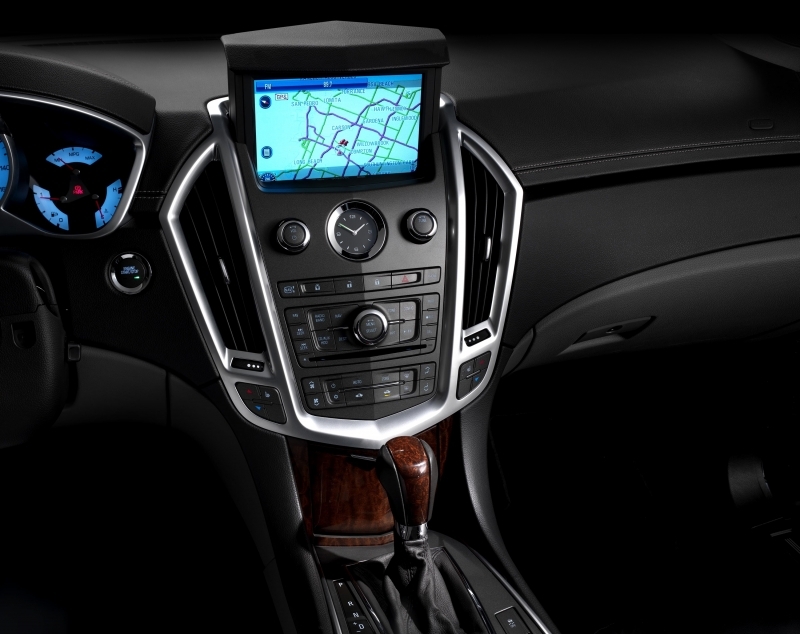 The base SRX comes with a decent roster of standard equipment, including Bose audio and a crisp color information display in the gauge cluster. Still, for our money the feature set just doesn’t quite come together without the eight-inch touchscreen display, which only appears in the high-end Performance and Premium models. It’s a beautiful display, with a colorful crispness that rivals that of iPad-style tablet PCs. Moreover, the technology that it houses is thoroughly up-to-date, including a graphically rich navigation system with a 40-gigabyte hard drive that allows for ample digital music storage. If you’re ready to drop $45,000 or more on an entry-level luxury crossover (the FWD Performance starts at $43,830 without destination fees), the top-of-the-line SRX models certainly offer enough niceties to justify that kind of cash. The SRX’s interior stacks up quite well against the competition. We still think there’s too much plasti-chrome on the dashboard and steering wheel; the glare from those shiny bits can be a real annoyance. Also, the analog clock just looks tacky. But otherwise, everything’s pretty much bang-on, from the suppleness of the dashboard and door-panel materials to the premium look of the gauges. However, Cadillac’s front chairs are positively shamed by the BMW X3’s. Optional multi-contour seats in the BMW tradition would be very welcome here. As for rear passengers, they won’t be completely pleased either, as the low rear bench and limited leg- and headroom give the backseat an unusually cramped feel for this segment. Cargo space, measuring 29.2 cubic feet behind the backseat and 61.2 cubic feet with the rear seatbacks folded down, is another way in which the SRX comes up a bit short relative to some of its peers. 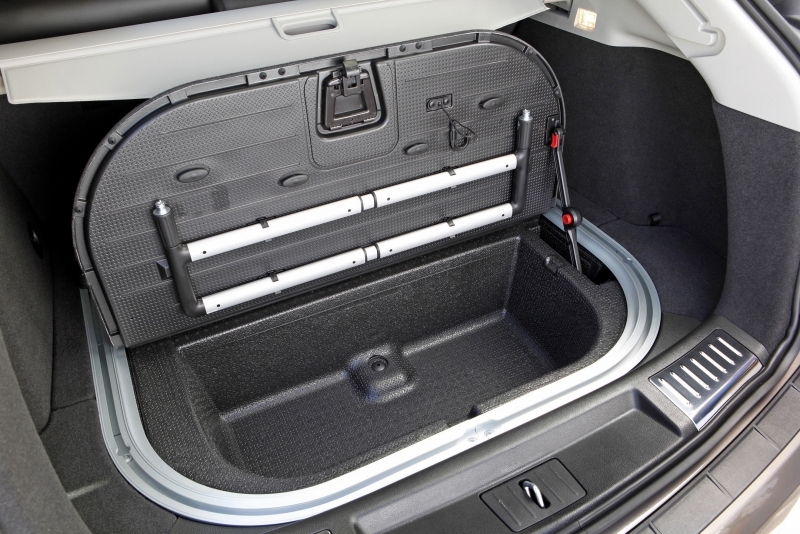 In real-world usage, though, the SRX’s cargo bay is pretty handy, as it will swallow a few golf bags with ease. We’re also fans of the power liftgate with its nifty height-adjustment knob that accommodates low garage ceilings and the like. 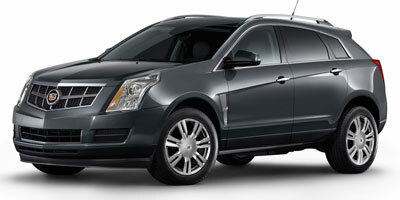 If you ask us, the SRX’s nose looks like it was inspired by the cow-catcher extensions on old locomotives. But there’s no denying that the SRX is a distinctively styled vehicle, and that makes a difference, especially when buyers are forking over this kind of cash. We’ll put in a good word for the 20-inch wheels here—yes, they hurt the ride quality, but we think the SRX looks a little goofy with smaller wheels. We couldn’t blame you for going with style over substance in this case. Our loaded-up Premium Collection test vehicle rang in at a sobering $49,240. For that kind of money, you could get into a well-equipped Audi Q5, BMW X3, or Volvo XC60—all tough rivals for the SRX. Heck, you could snag a Volkswagen Touareg TDI for that price, and we’d take the Touareg in a heartbeat. But if you set your sights on the Performance trim level, you’ll save five grand or so—and the SRX starts to make more sense. Now that the 2012 Cadillac SRX has the engine it always deserved, it’s a fully competitive luxury crossover SUV, plain and simple. 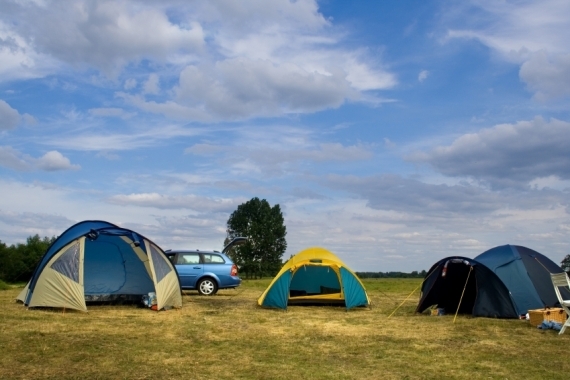 Unless the styling turns you off, a test drive is absolutely in order.